Buy dog photos online. Fun dog photos, dog breed stock images, dog sporting photos, dogs and people, dog calendar images. 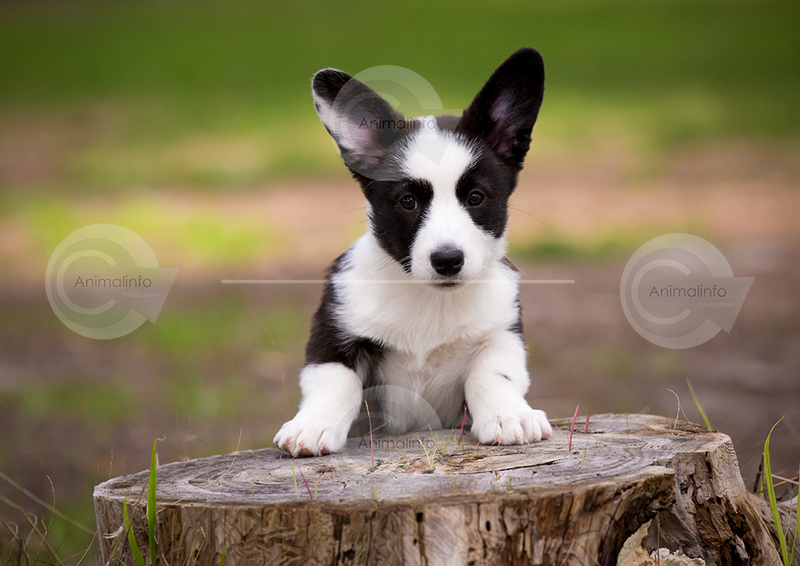 A cute Cardigan Corgi puppy with big ears and front legs resting on a large tree stump. The Corgi's eyes are looking directly at the camera and the background is soft and blurred. Labradors in the ocean stock image.